After so many enquiries whether The Night Market would be hosting a NYE event... we've decided to give the people what they want! With an extended beer garden area, three times the current size with a pop up bar & seating throughout. 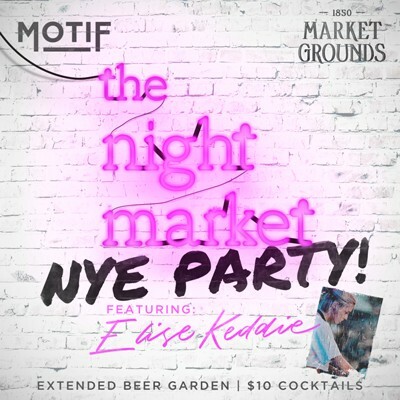 This will be the biggest night Market Grounds has ever seen! Everyone's favorite DJ - The Queen elise keddie will behind the decks & she has a few surprises for you... come the count down! This new double story venue is in a class of it's own - with booths throughout, sunken lounges, outdoor beer garden & 3 permanent bars + 1 special pop up bar for the night. This NYE is sure not to disappoint. To purchase a booth, please DM Motif for more info. Under the dance floor's neon lights, you'll find The Night Market.